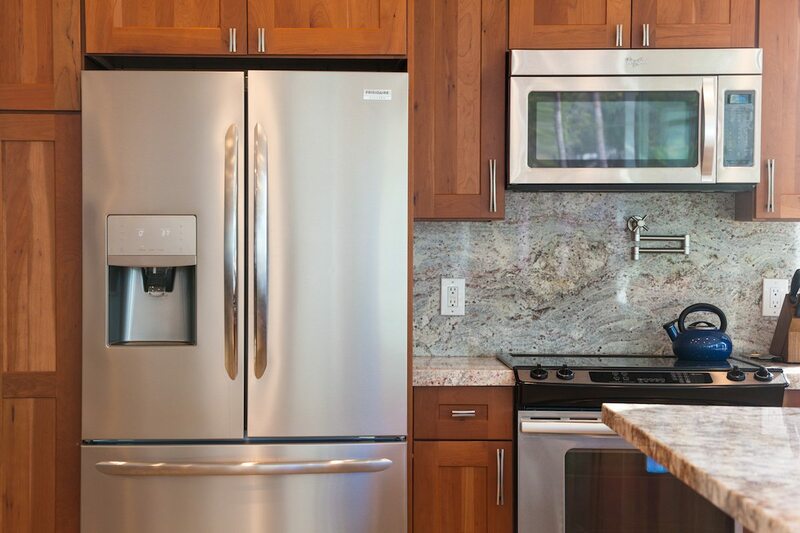 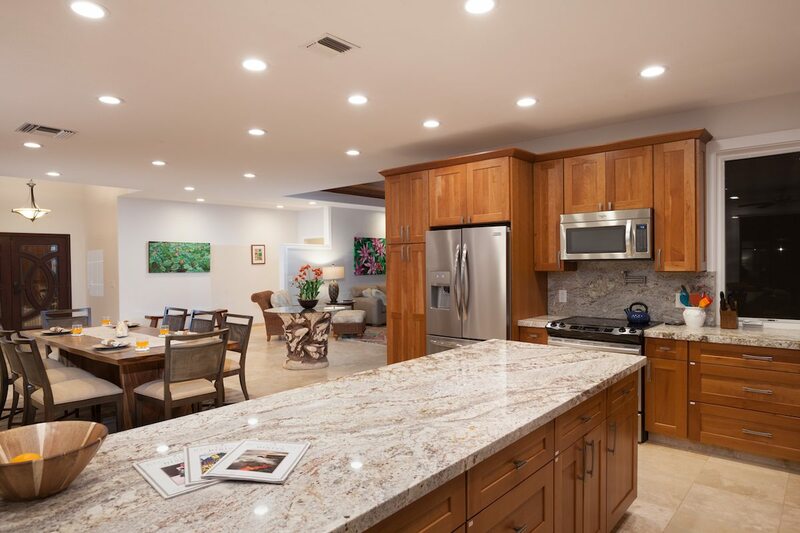 Remodeled home with almost 5,000 sq. 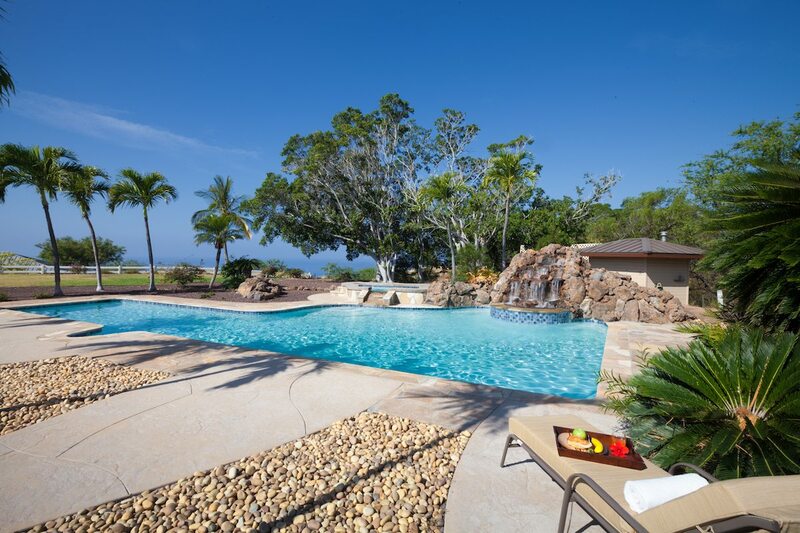 ft. at a great price - incredible value! 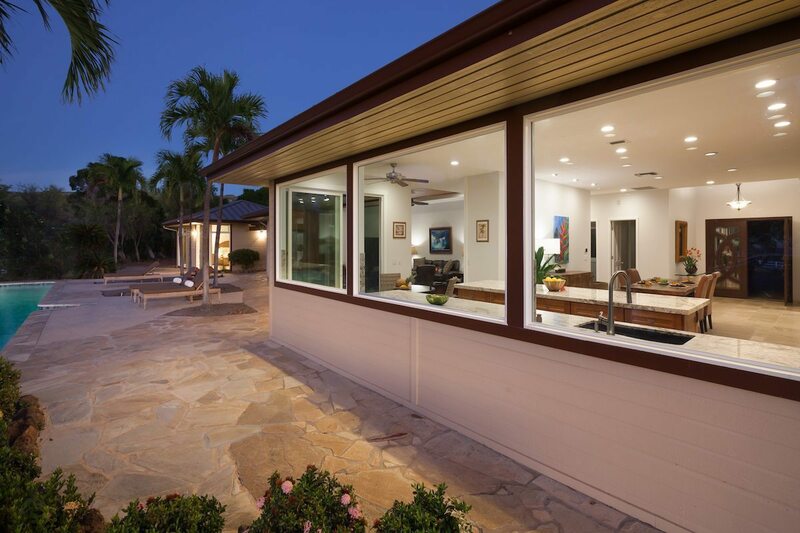 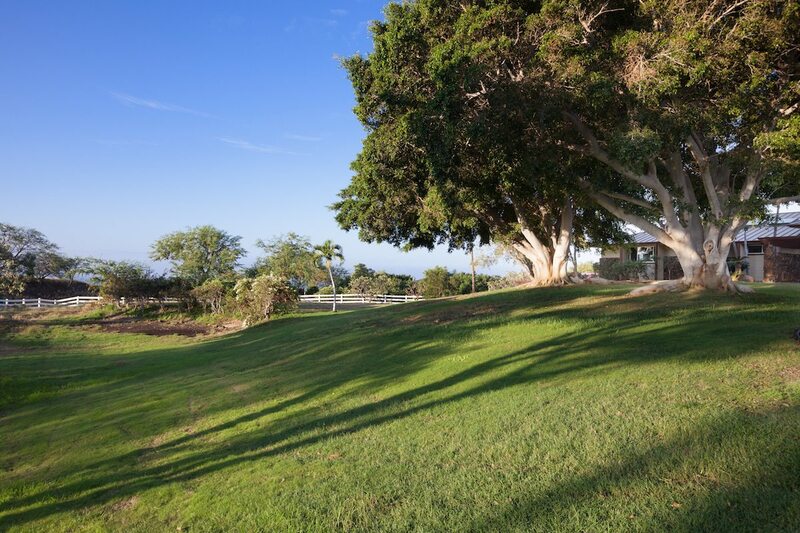 One of the best options in Hawaii in terms of views, lifestyle and amenities. 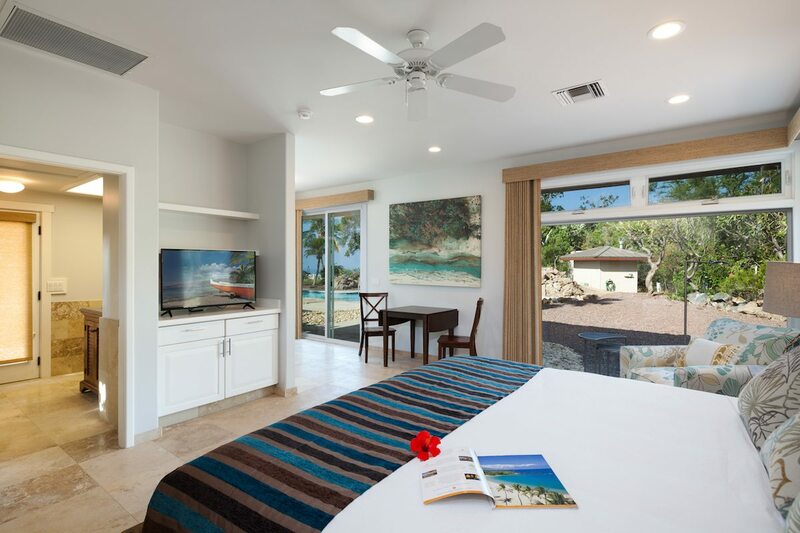 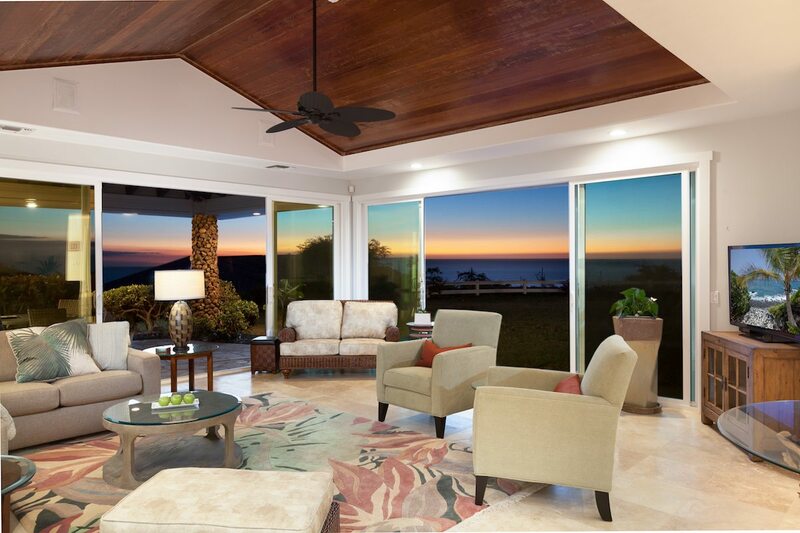 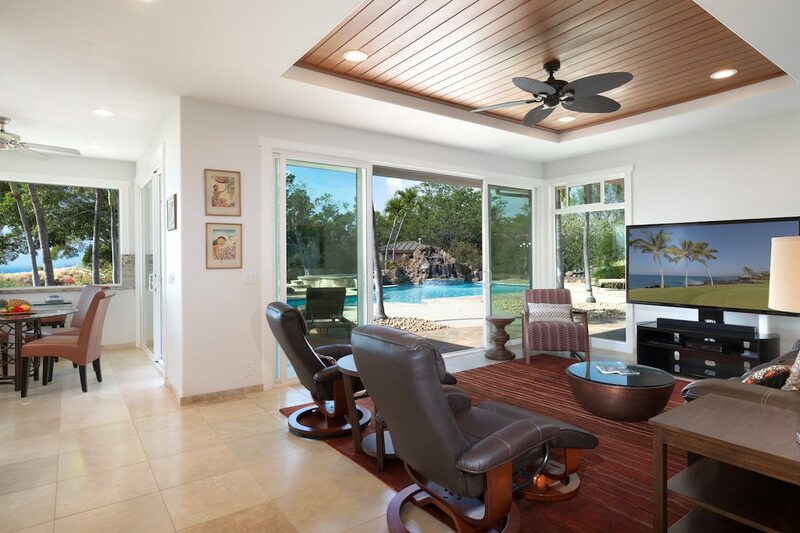 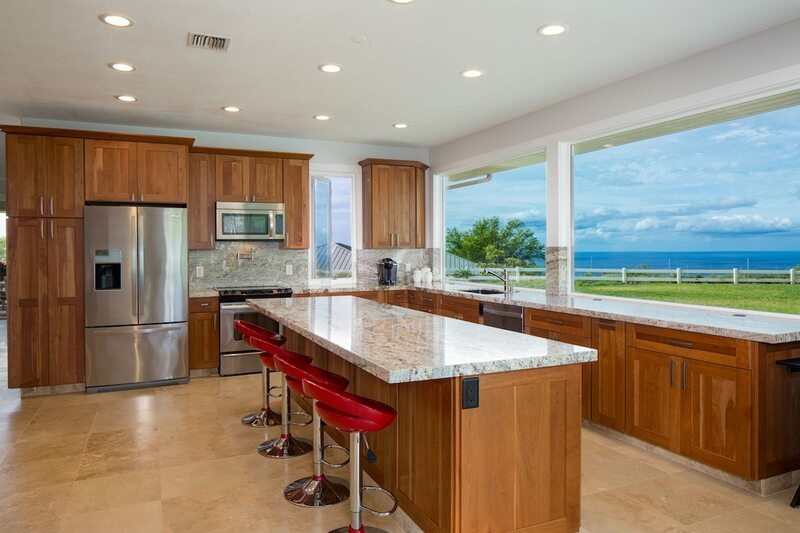 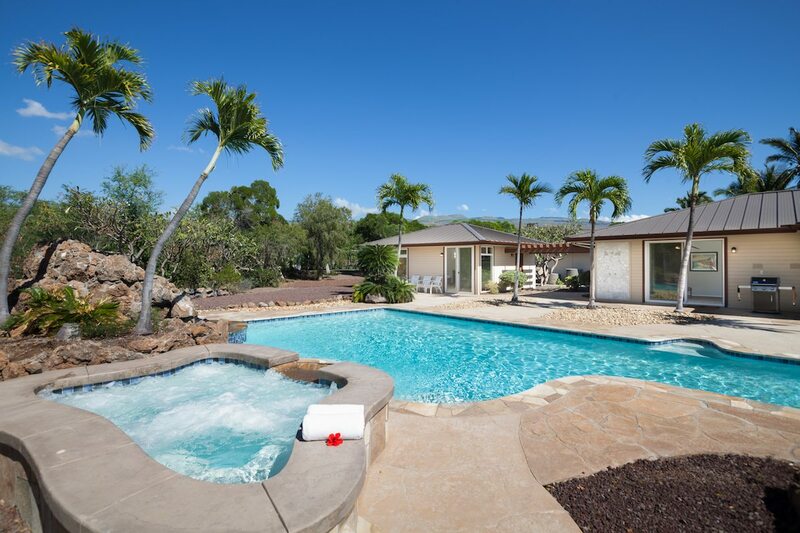 This is a property where on certain days you will notice snow at Mauna Kea from the exercise room and later while cooking you will spot whales swimming in the ocean. 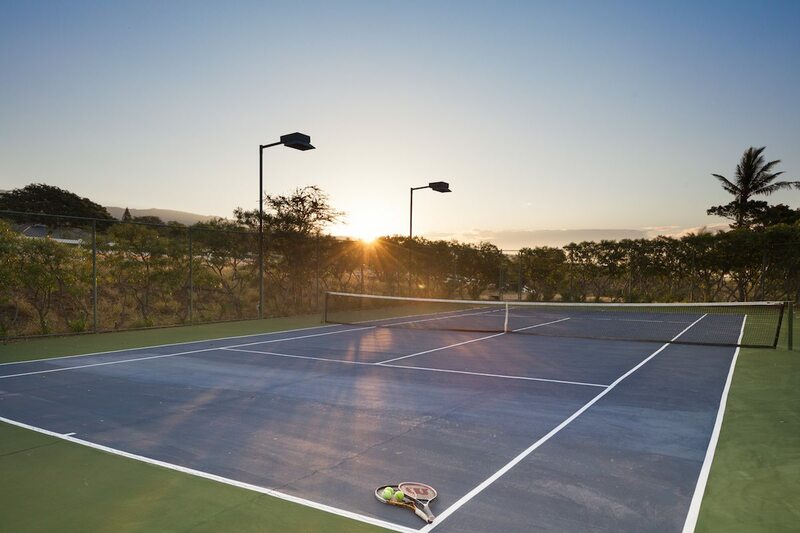 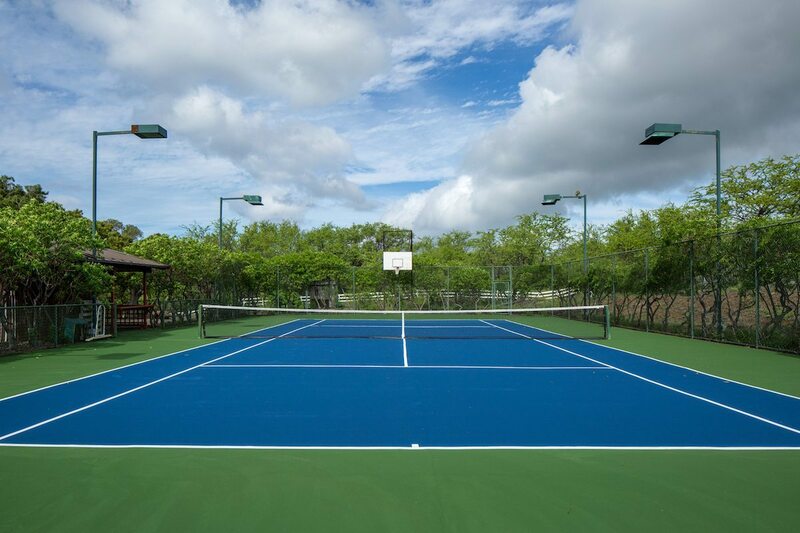 While playing tennis the backdrop of the Kohala mountains is a wonder to behold. 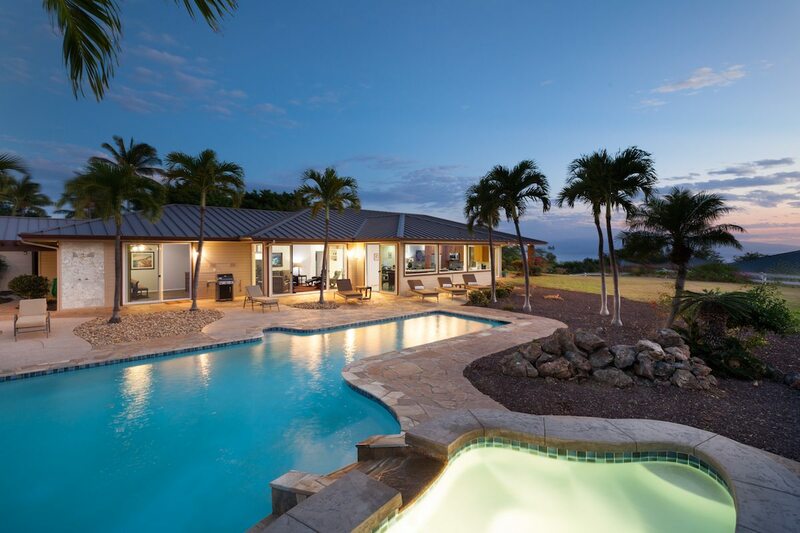 A movie in the home theater with its $7,000 sound system is a treat, but watching the stars from around the pool quickly reminds us that the Big Island is the top choice worldwide for observatories. 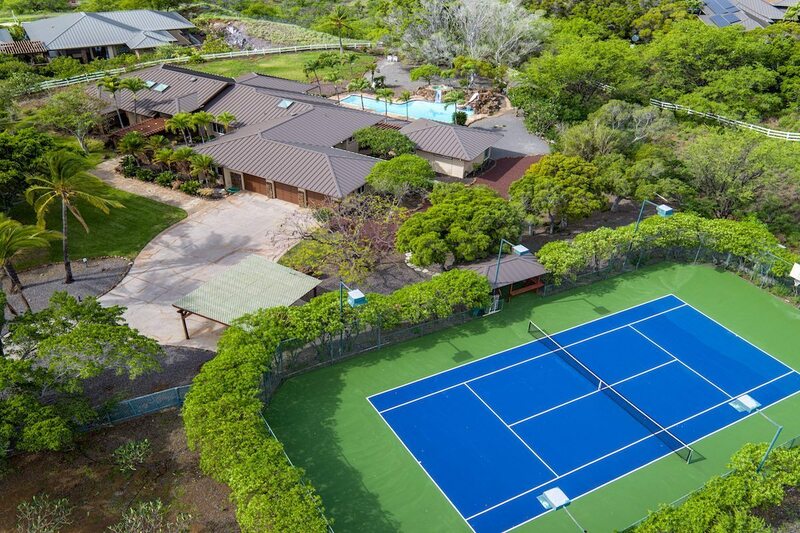 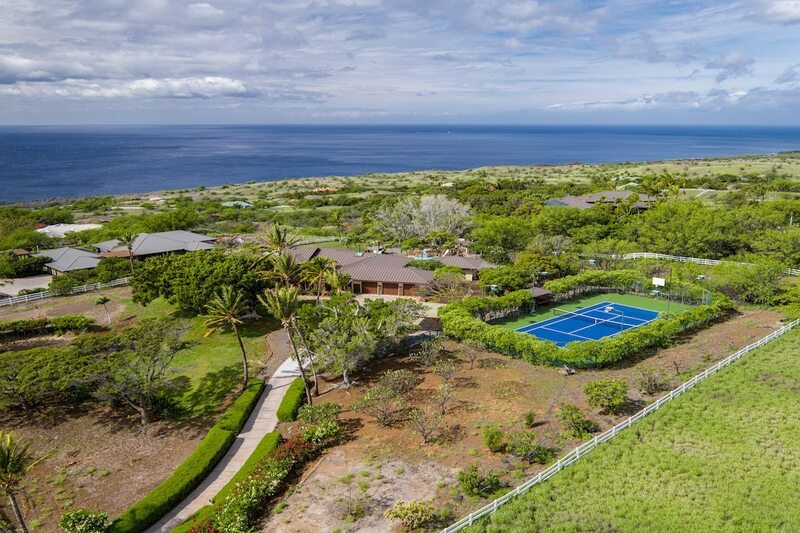 In addition to the privacy Kohala Ranch affords as a gated neighborhood, the property itself is secluded yet a short drive from beaches and shopping at Waimea. 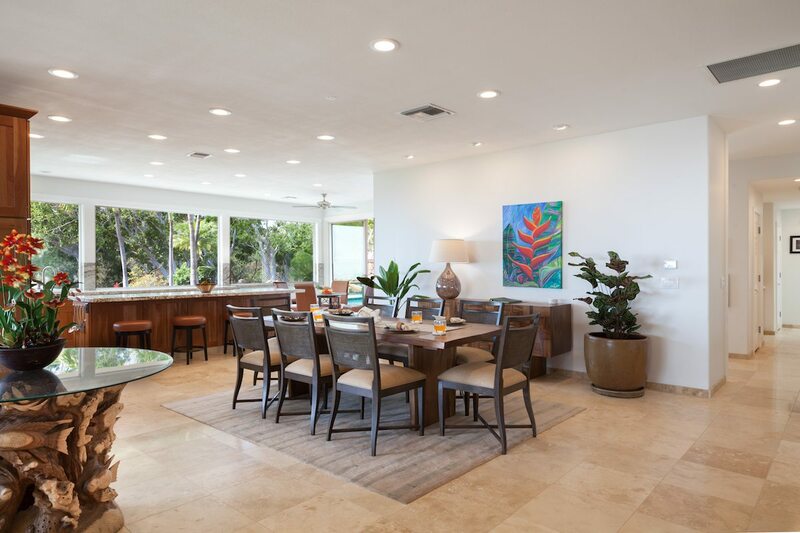 A very spacious house with an open floor plan so it never feels crowded. 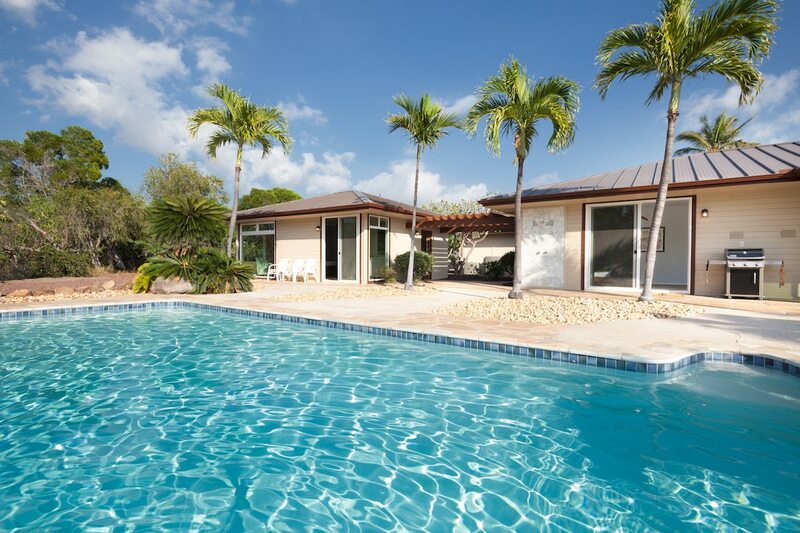 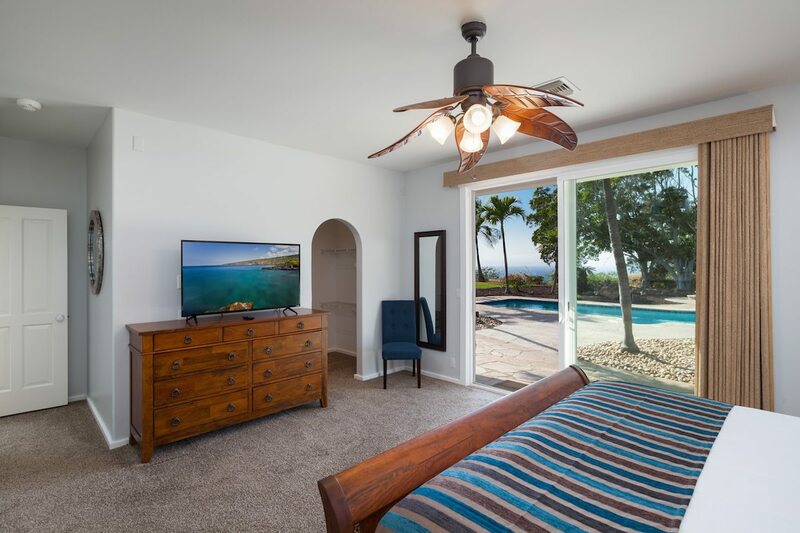 Guests can choose to stay in the main house or in the private guest quarters - every room has its own bathroom - all remodeled, house feels brand new. 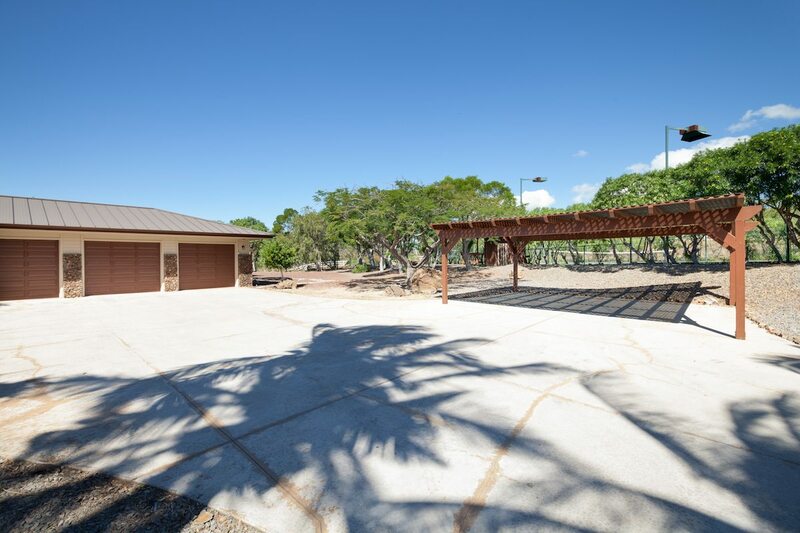 And for those with special hobbies or in need of extra storage space, the property has a large workshop and a 3-car garage. 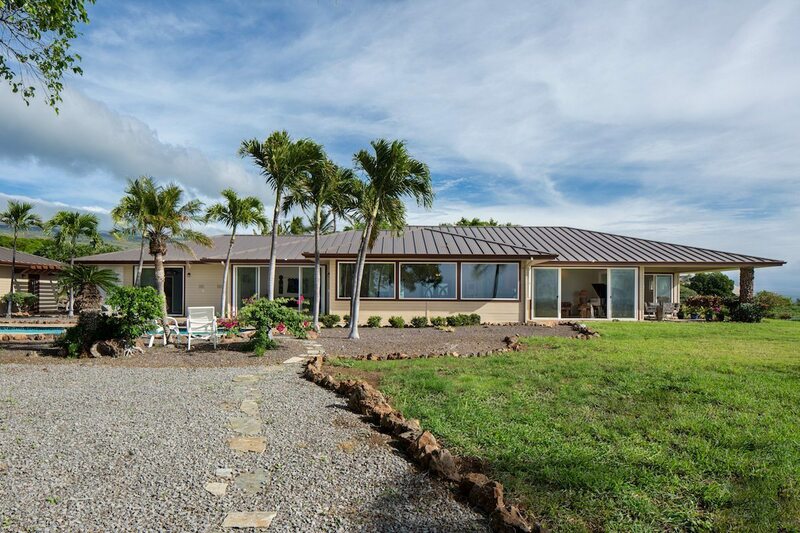 House offered turnkey. 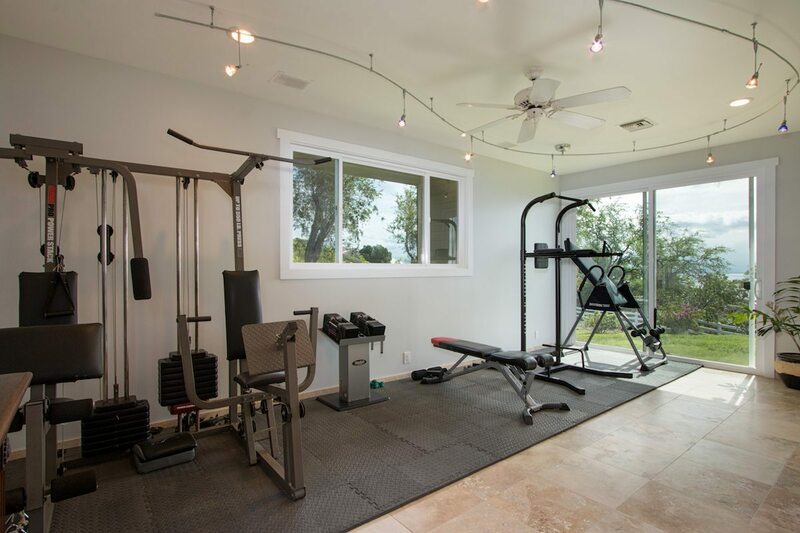 This unique home features a new entry gate system, new roof, new glass skylights, new windows, new outdoor lighting fixtures, new paint inside and outside the house, new travertine floors, new kitchen cabinets and countertops, new kitchen appliances; tennis court recently resurfaced. 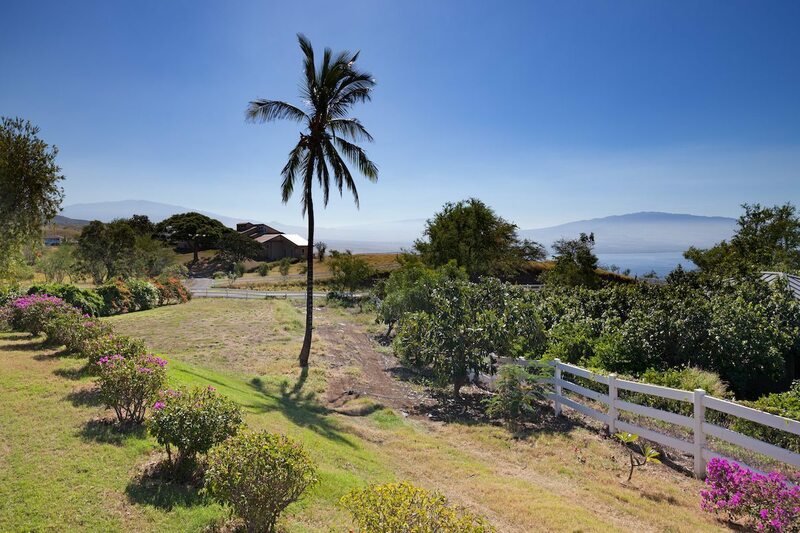 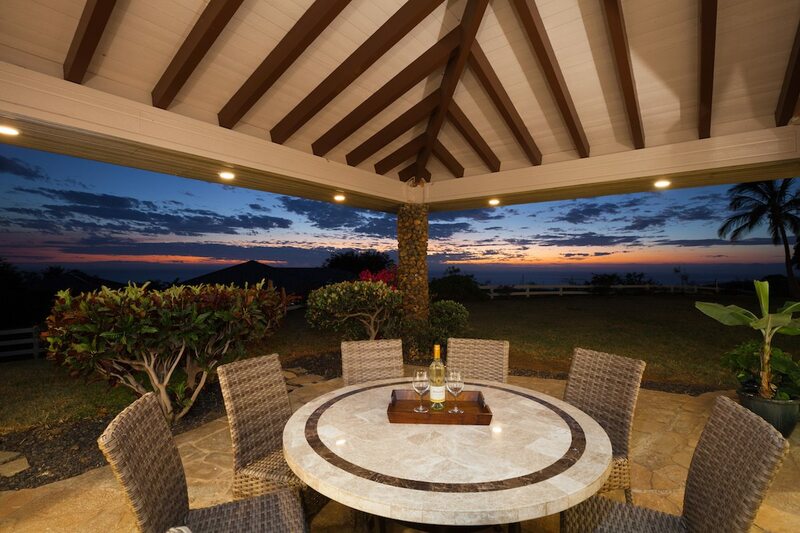 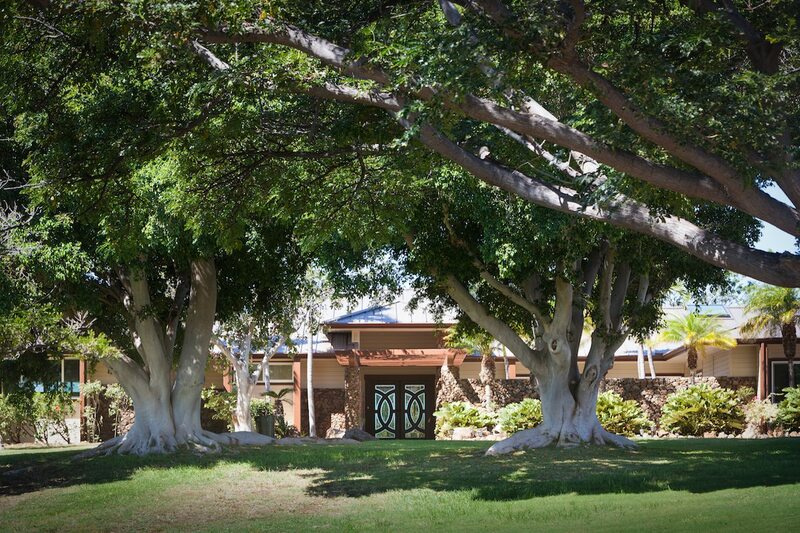 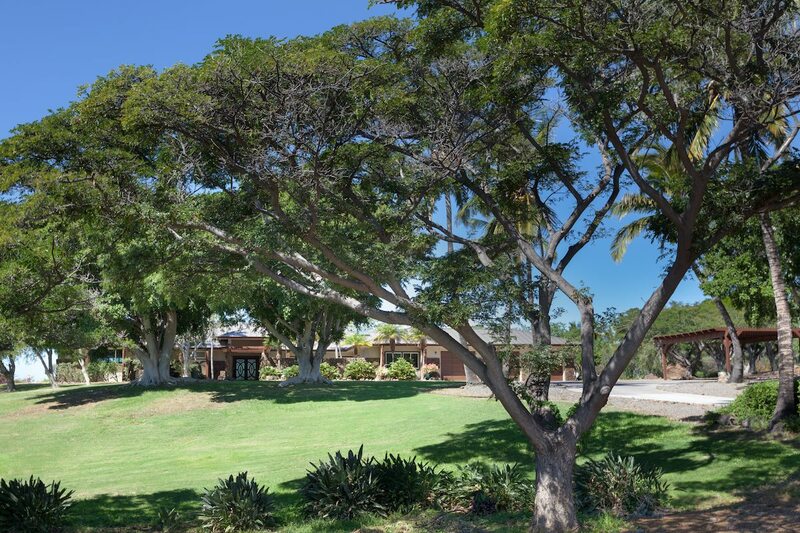 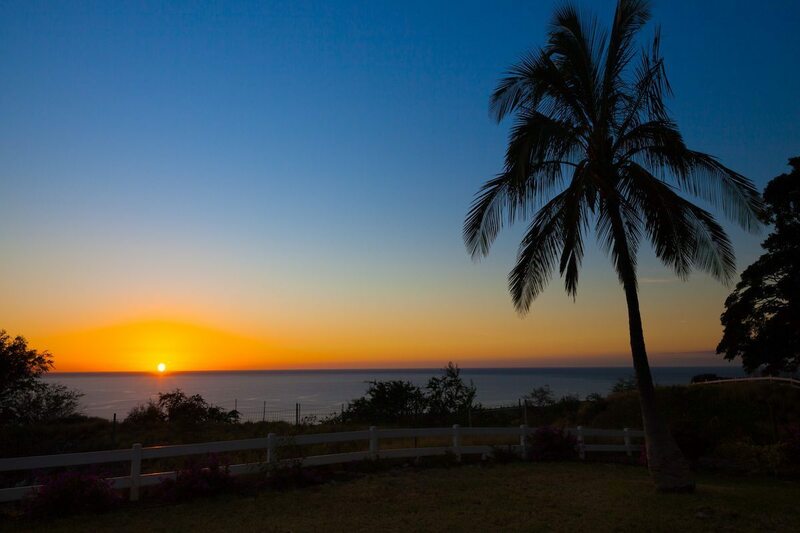 Kohala Ranch is a private gated community and cattle ranch. 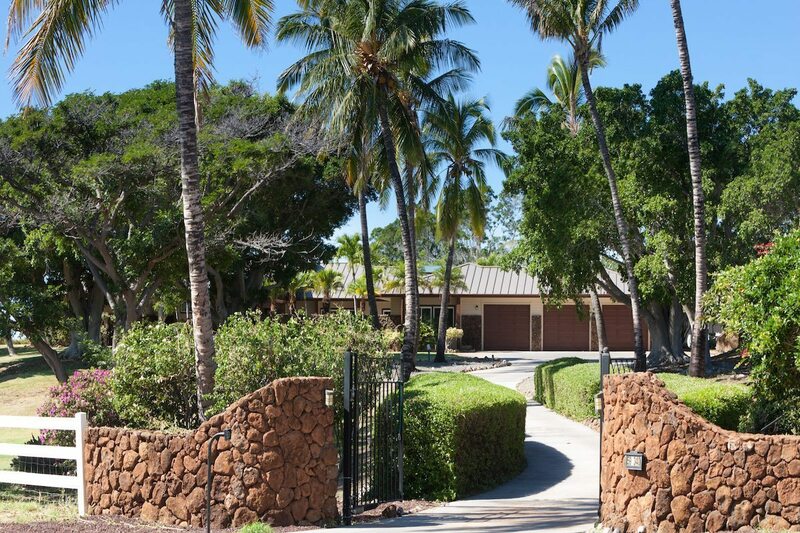 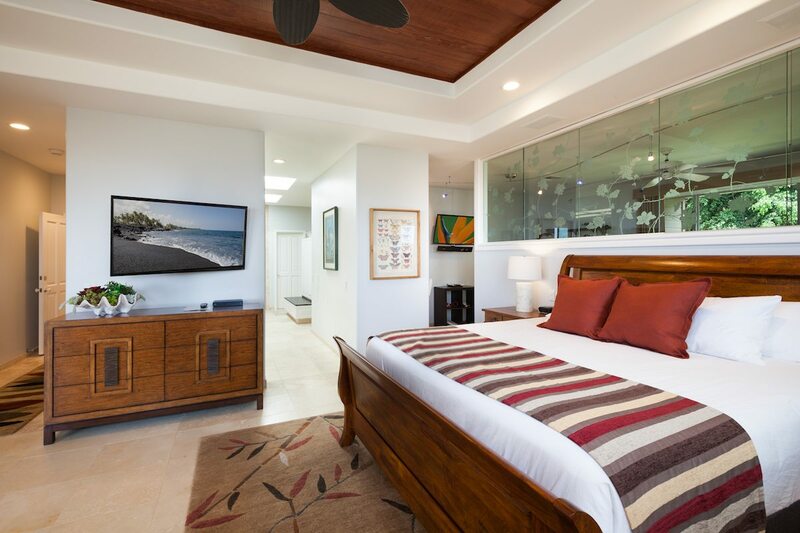 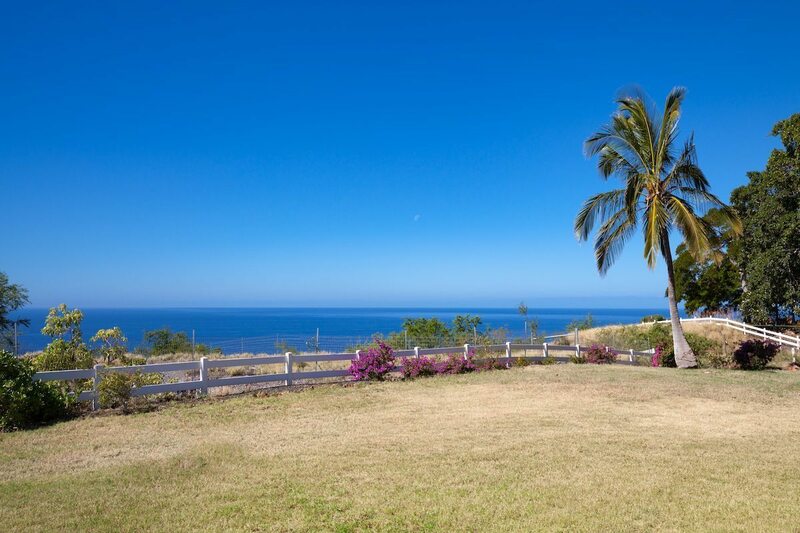 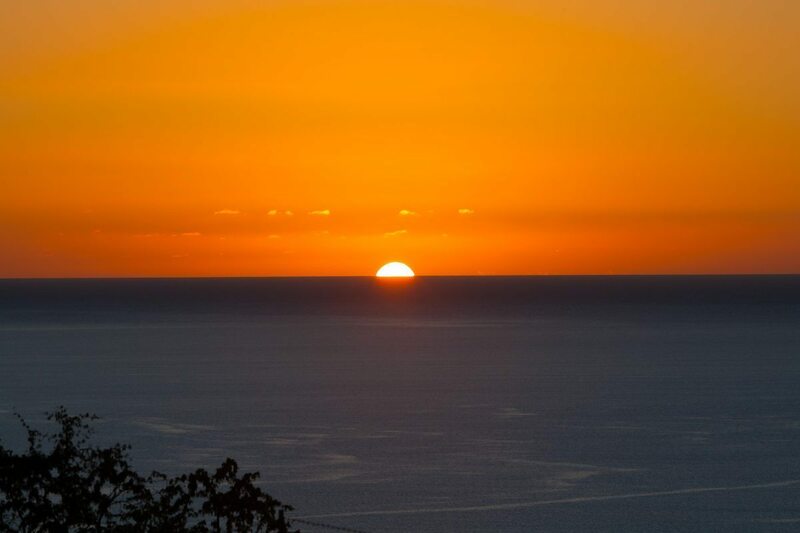 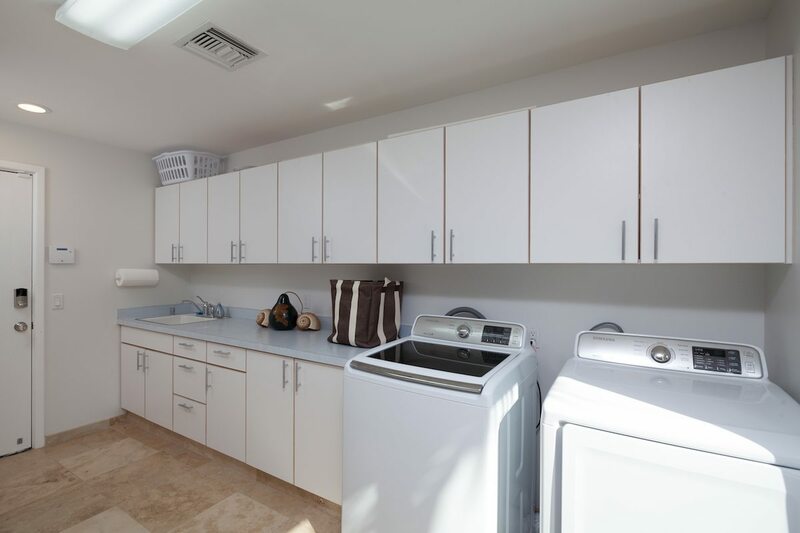 Located a few minutes drive from shopping, dining, popular beaches and resorts along the sunny Kohala and Kona Coast of the Big Island of Hawaii.